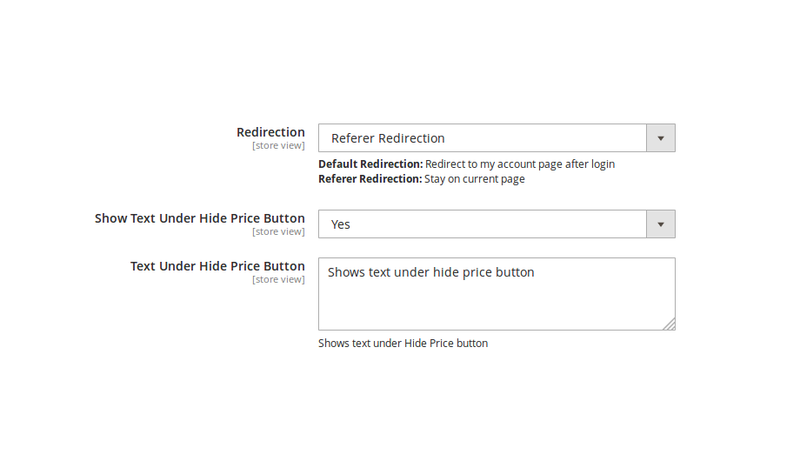 Hide Product Price is the most powerful extension to hide product price and Add to Cart button from non registered customers. 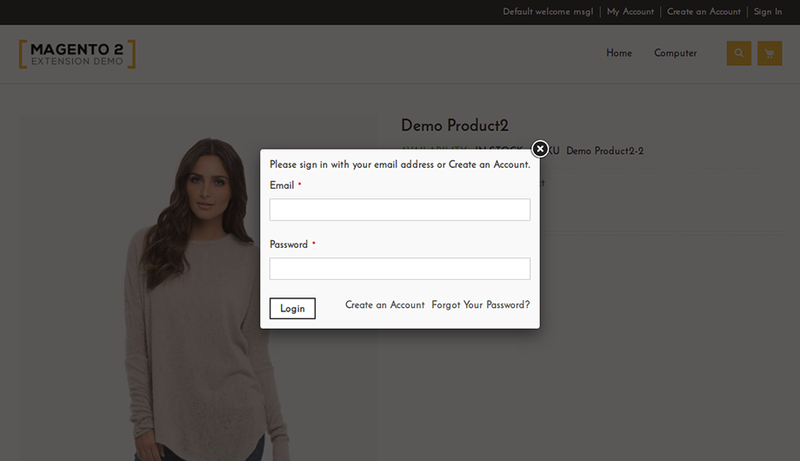 This extension for Magento 2 encourages customers to register on the store. In order to see price, customer must need register and login to store. 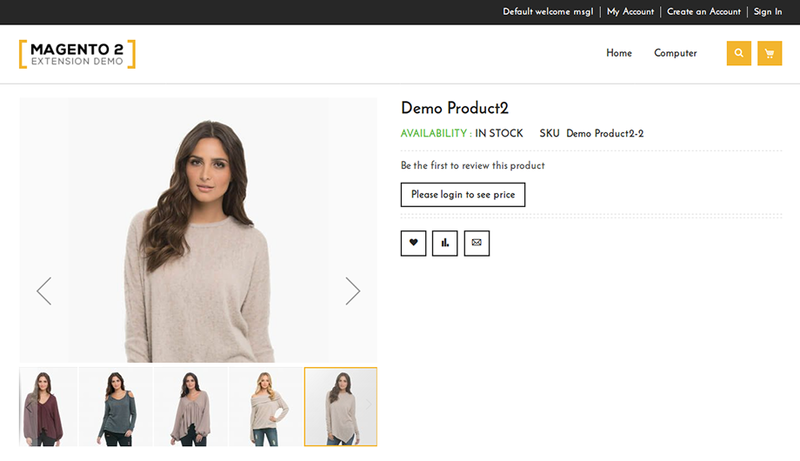 Using this extension store owner can easily hide Add to Cart button or organize private sales in their Magento 2 store. 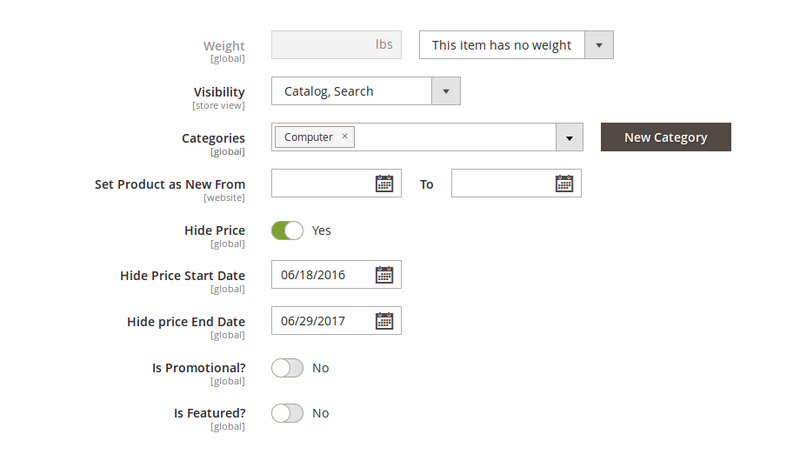 This extension will hide product price from product listing page and product detail page. 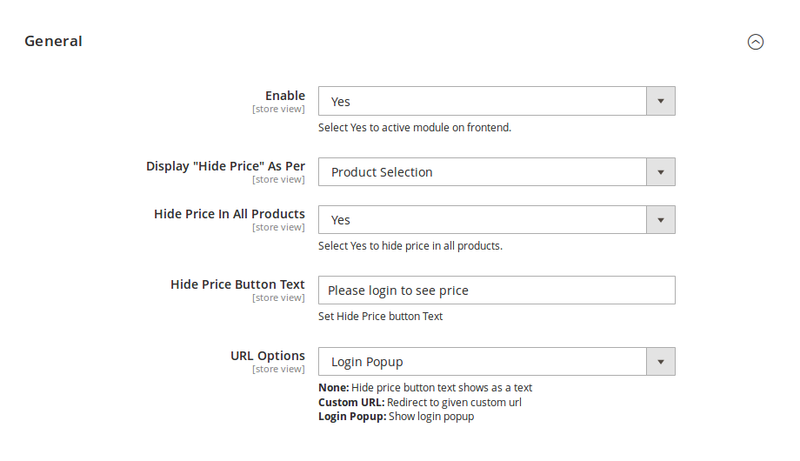 There are two options to hide product price like hide price for all the products or hide price for individual product. Store owner can also set start and end time for hide price. 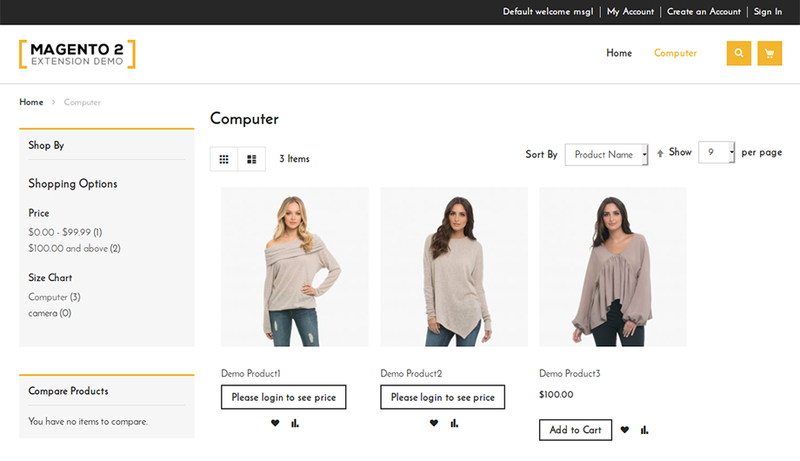 This extension also provides options to set custom message on product detail page. There are three ways to display message and take action. Works like a charm, it took me 5 minutes to install, clear cache logout/loging, set up and ready. Thanks a bunch. Once I purchased it I was able immediately to chat with the team and they were very helping and responsible jumping into the conclusion to solve some problems regarding the product. I am very satisfied and will definitely recommend Solwin to others. One thing to mention it’s working with 2.1.7 Backend and Frontend like a charm! Download the Hide Product Price extension .ZIP file from solwininfotech.com using your Solwin Infotech website account. If you are using Magento 2.0.x then you need to extract solwin-hideprice-m2-2.0.x.zip file. If you are using Magento 2.1.x then you need to extract solwin-hideprice-m2-2.1.x.zip file. If you are using Magento 2.2.x then you need to extract solwin-hideprice-m2-2.2.x.zip file. If you are using Magento 2.3.x then you need to extract solwin-hideprice-m2-2.3.x.zip file. If you are using Magento 2.1.x then you need to extract solwin-hideprice-m2-EE-2.1.x.zip file. If you are using Magento 2.2.x then you need to extract solwin-hideprice-m2-EE-2.2.x.zip file. Now, you can see the Solwin menu in admin panel. Please go to Solwin -> Hide Product Price -> Configuration and select Enable to Yes.